A short camp interlude. – Dirty wet dog , boats and sailing. Of course what i should have said to be even remotely in with a chance of being grammatically correct would be ‘a short interlude at camp’ or similar but if you want to read it in a slightly ‘carry-on camping’ kind of way then that’s fine with me. This was the first stage of our circular road trip and 5 nights in a super-comfortable camping ‘pod’ in the lake district. 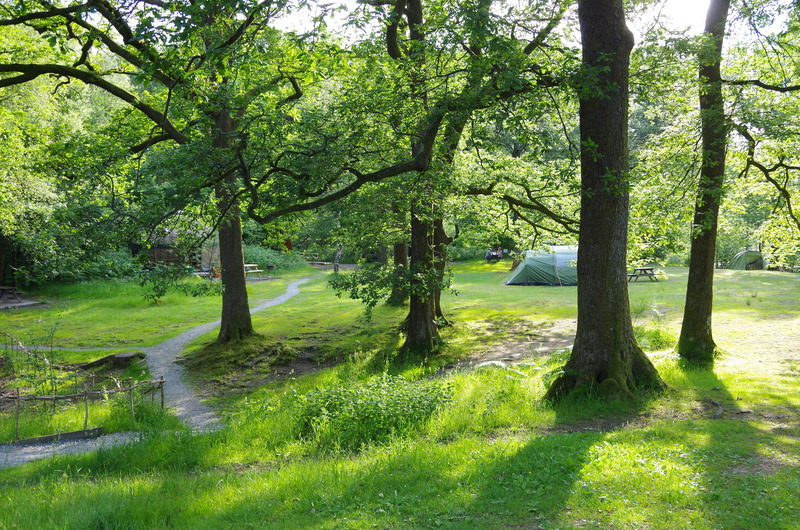 The campsite is a national trust one just outside Ambleside and on the west side of Windermere lake so the setting is particularly nice and amazingly the weather was kind to us which isn’t my usual experience of that area : my camps there are often soggy affairs and trying to light camp-fires in heavy rain but for this trip we took the luxury option. For this post i did actually have the idea of building it around a very bad pun of Cowes/Cows week and simply post lots of pictures of Cows and just one of the only boat we saw actually sailing on the lake but amazingly common sense has briefly won-out over a bad attempt at humour. Stephen Mundane wrote : “Was expecting to see photos of you in white bell bottoms with your hand on your hip but then the penny dropped. I wondered who would be first ! Next Norfolk : creeks, boats and harbours. Was expecting to see photos of you in white bell bottoms with your hand on your hip but then the penny dropped.